We have discussed teen driving on several accounts; whether it is how to talk to your teen about safe driving, the dangers of teen driving and/or becoming a licensed driver. These topics are extremely important as all parents want to ensure their teen is responsible behind the wheel. However, one topic parents can forget until the last minute is “adding” their adolescent to the correct insurance plan. Research, and a possible discussion with your insurance agent, should be done before making a decision. Teen drivers are the most expensive group of drivers. According to insurancequotes.com, rates can go up as much as 78%. According to the average national car insurance bill, that is more than $1,000! And if you have a boy, then that number can be even higher. Unfortunately, teen drivers are the most expensive because they are more likely to cause an auto accident than any other group on the road. The Center for Disease Control (CDC) states that motor vehicle accidents are the leading cause for fatalities among teens. In addition, a teen driver is more likely to kill other people in these accidents due to inexperience, speeding, distracted driving and operating a vehicle under the influence of drugs or alcohol. Parents who try to decrease teen car insurance costs should never include trying to “hide” a teen from their insurance company. The smart way to help lower cost is by adding your children to your car insurance policy, rather than them getting their own. Additionally, many states offer incentives for student drivers who have a specific school grade point average. 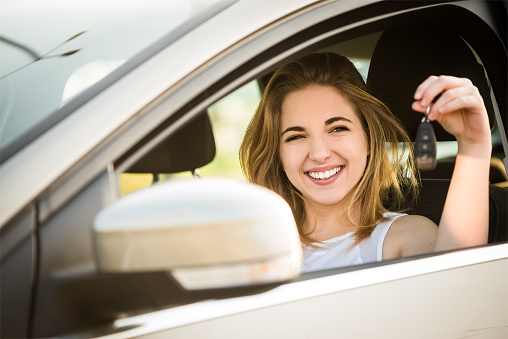 And lastly, the type of car your teen drives can make a significant difference in how much you are paying for insurance. For those parents who have already experienced a car accident that involved a teen driver, it’s important that you contact an attorney for advice. Remember that children and teens are constantly watching how their parents are driving. Therefore, set a good example for your children by focusing on the road, not being distracted and abiding by the law. If you have any questions or have a teen that has been involved in a car accident, please contact our office today. I hired Kaine law last year and was not disappointed. Very dedicated and informative. They always answer when you call and answered every question I had. Settled my case quickly. Than you Kaine law!!!! It should be noted that the 3 negative reviews below (two from Hazledean and one from McCabe) are Husband, Wife and Daughter and should be read as one review not three separate incidents. The best in GA. Easy to work with and always answer the phone and every question you have. They took care of my case and mad me extremely grateful I chose them by far better than any other firm I've worked with. The very busy in Atlanta. Answers every time. My go to Georgia Personal Injury Attorney! Kaine Law, LLC is located in Atlanta, Ge and serves clients in and around Roswell, Norcross, Marietta, Alpharetta, Duluth, Cobb County, Fulton County and Gwinnett County.